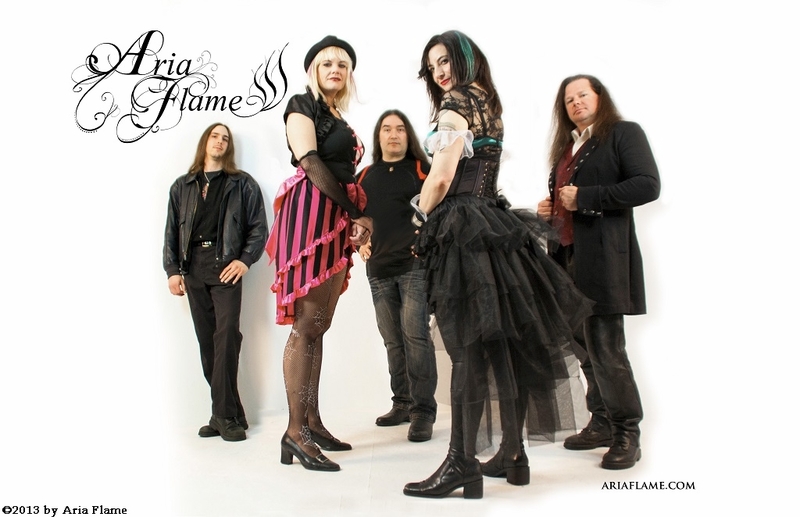 You are the singer of the American band Aria Flame. Could you please introduce the members, describe each of them in two-three words and tell us a bit about the history of the band? Of course! The band came into formation in 2011. I had the idea of creating a concept album or EP, about evolving as a human and about the positive and negative in life. I knew I was going to ask Erik Sales to be on board for this project, then guitarist Paul Stein from my former band, Dendura, and Greg Cloon as the bassist, so I asked them to come on board and they did. Then, when I wanted to put a live unit together, Paul wasn’t available. So we found Dan Cruzan, and later Alicia Menninga, whom played with Dendura in the beginning, then we started to make some music. Well I’ll start with our drummer Erik Sales, peaceful and generous, also a very dynamic drummer. Our bassist Greg Cloon, technical and organized and an innovative bass player. Alicia Menninga, our keyboardist, she is sweet and crafty. She is intuitive in her keyboard playing. Dan Cruzan, the guitarist, is hard working and driven. He is very creative on the guitar. You released a few songs via iTunes and you shot a very creative video clip for Divine World. How was the feedback from the press, the fans, the labels? Really warm and supportive. Most people commented on the video. Videos are nice, because you can just watch it while listening and get a better understanding on what the song maybe about, much like a short film. We had a small budget available, but wanted to show the world what you can do with a little creativity. That alone was wonderful because most people thought we had a lot more money invested into the video than what we did. Justin Lee Dixon, whom was in Dendura as the last drummer, directed the video. He had some amazing ideas on the fly that really impressed me with his work. As for our actual recordings go, Grammy Award winning producer Neil Kernon (Nevermore, Judas Priest, Tapping The Vein) mixed and mastered those and they sound amazing to us. We couldn’t be happier with them. What's coming up next? Are you working on an EP or an album? We are working on an EP. We’re getting closer to it being complete. And then we have a lot of awesome national shows coming up here in the state with Riot in Progress in Detroit in April, my former fellow Eve’s Apple member Mary Zimmer of White Empress will be headlining the 4th of October 2014. Grace Meridan and Kassandra Novell will both be joining me during Aria Flame ’s set as guest singers at Sirens of Metal in Detroit, we’ll be doing a few festivals, I’ll be at Metal Female Voices Fest this year selling my fragrance line and hopefully some music, I have a new project in the works called Scarab’s Empire which is going to show case some of my middle eastern roots a bit. Not like Dendura, but you’ll see. 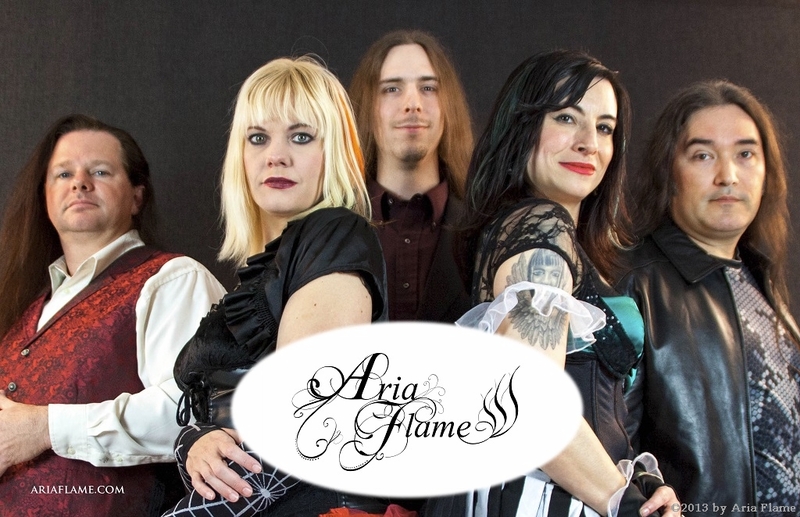 Who writes the songs for Aria Flame? All the songs written are based off a concept theme of the rising phoenix. I started writing the music when I was going through a lot of stress, my mind was flooding with lyrics, so I had to write them down. I was evolving as a person. I would say that the music for Aria Flame is both positive and negative. It has a gothic circus symphony feel to me. In which age did the music catch you and when did you start your career as professional singer? I was told by my mother when I was little, that I sing all the time. But it wasn’t about until I was about 8 or 9 that I noticed I had actual melodies going in my head I felt that needed to get out. I started actually singing later. I started taking voice lessons and taking it more seriously. There are a lot. Warrel Dane from Sanctuary and Nevermore, Nine Inch Nails, Duran Duran, Ozzy Osbourne, Sarah Brightman, Mike Patton, Floor Jansen of After Forever and Nightwish, Simone Simmons of Epica, Tarja Turunen, Danny Elfman, Maria Callas, Renee Fleming, Korn, Melissa Ferlaak, Type O Negative, and I could go on and on. That wish has already been granted, I sang with many former Eve’s Apple members at Dame Nation in Chicago, Illinois. If I had to choose another singer to duet with it would have to be Warrel Dane. His voice is just so powerfully controlled and smooth. Most definitely! I have to say, this was the most joyous part of my career as a musician. These ladies really introduced me into a new amazing world of strong support and growth taught to another. I was one of the last members to be a part of it, and I feel blessed to have been a part of it. The friendships remain and we still talk, collaborate, and do what we did before and support one another, some even have modelled for my fragrance line as well. There is a lot of love in that community. The music isn't your only passion. 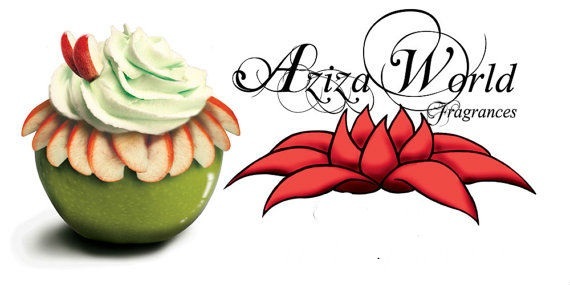 You run a business named Aziza World Fragrances and you are offering very interesting items. Could you please tell us more about it? Absolutely. 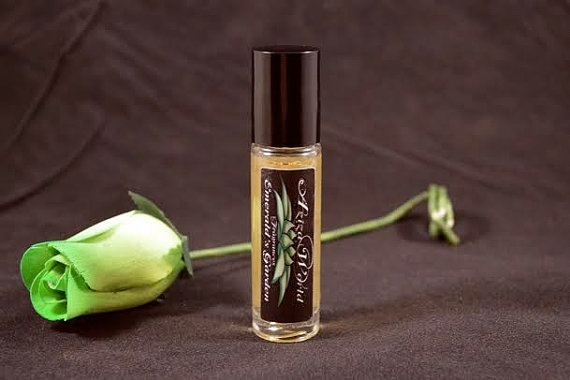 I hand make perfumes, colognes and perfume oils with eco-friendly ingredients. All natural soy wax candles and Organic Whipped Shea body butter along with my latest invention, Bulgarian Rose Water Hydrosol that acts as a facial toner. All my products are made here in the United States. My products are all eco-friendly, no alcohol nor preservatives, no animal testing, by me! I always loved scents and perfumes. It has become a strong passion and a business that I strive to keep pushing forward. Many former Eve’s Apple sisters are also models for my product line such as Karolina Pacan, Vk Lynne, Grace Meridan, Melissa Ferlaak, Kassandra Novell and more in the coming months. To get this EP out for Aria Flame, to record an EP also for Scarab’s Empire, to put on amazing shows and to collaborate with many artists, to make another music video, go to Europe, sell lots of perfume and Shea butter and keep evolving and growing as a person. I also want to grow more as a singer and step out of my boundaries. To see what else I am capable of doing as an artist. Definitely, if you like our sound, please help us and support by sharing our online videos, liking us on Facebook, speak to the masses and request us at your local radio station, underground stations, any help would be awesome! 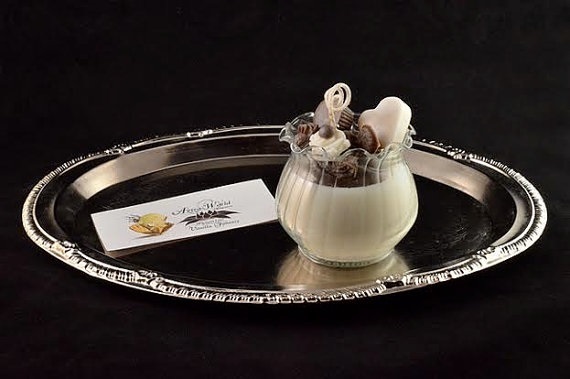 Also, if you want to have quality soy candles, perfumes, colognes, Shea body butter, then shop at my store because nothing leaves my shop that isn’t highest of quality. Corporate places mass produce their products, small businesses hand make them with quality. The same goes for music. Great music comes from the heart. Shop underground, shop local. Shop AzizaWorld! Like me on Facebook.